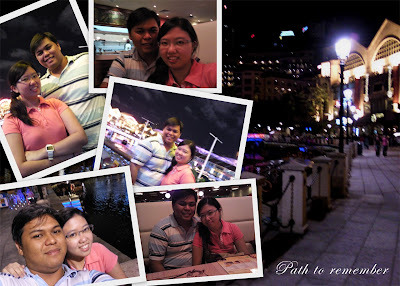 This is at clarke quay. Having dinner at Fish Manhattan. People that I hang out with. Just wanna to say my gratitude for all this time. Okay, just want to show off. My first day of cut hair. at Hair Profile by Kit Lee. I am not sure whether after wash it will still remain the same. 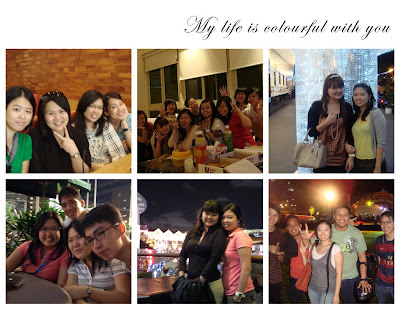 ps: I just realize Picasa is wonderful! haha. How foolish I am to have it for so long but dunno how to use it until today. But its better to know now that clueless at all! Try it, and u will amazed. My SMU friends has started studying since 3rd January. While I am doing nothing till now. My visa finally got approved. I will be flying on 4 Feb 220 am by Qatar. Nah.. but the travel agency said I very lucky today. Last minutes flight booking but still able to get the cheaper rates. There are still many uncertainties that I need to get it settled. But I have been waiting for exchange since my first year in SMU. I am nervous and excited as this moment is so near now. "Lord Jesus, please dont make daddy angry"
Will this world be a better place?